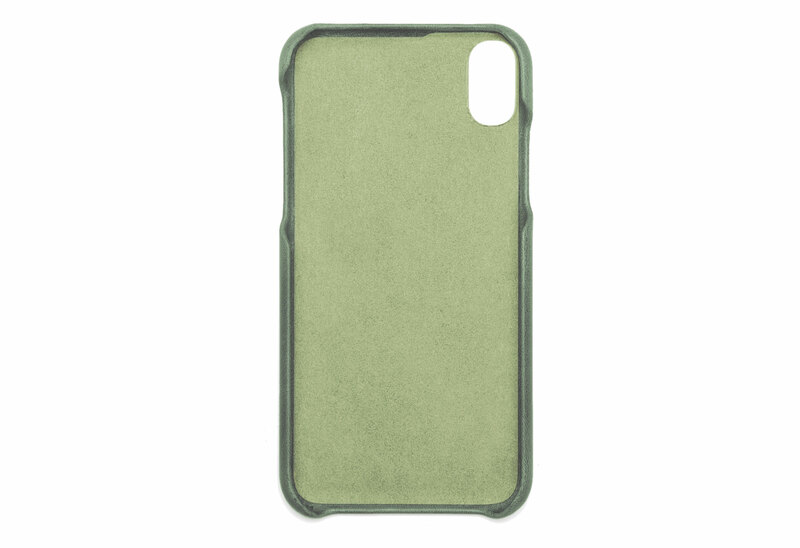 Jim Backcase Green leather iphone X - Nic & Mel. 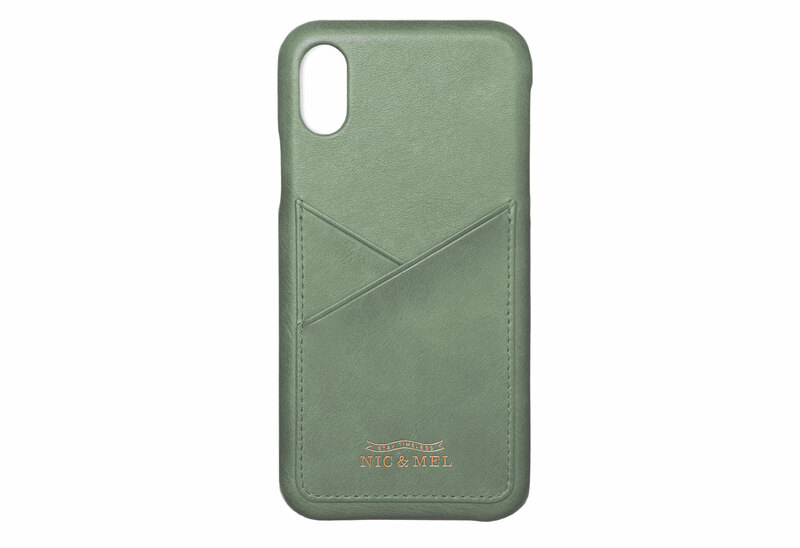 Jim premium grade leather backcase with card pockets for your iPhone X.
Jim backcase in premium grade leather with card pockets for your iPhone X. A great looking leather backcase of the highest quality standards. Clean, modern design in combination with a seamless, perfect fit and a safe grip.